You want to keep the spark alive in your relationship, so don’t let your wedding anniversary pass by in a predictable manner. Although dinner and red roses can be special, this year why not do something more creative to celebrate your love? Here are some ideas. What woman doesn’t love more bling? 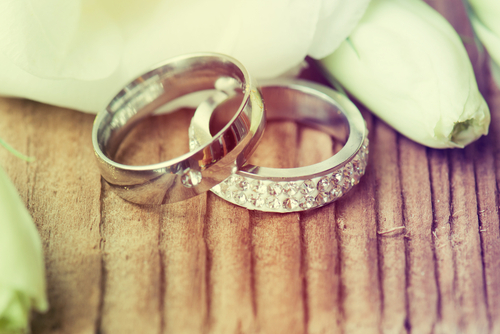 Jewelry can be a common anniversary gift, but make it more special by buying an anniversary wedding ring for her. Be sure to make it meaningful and complement the bridal jewelry she is already wearing. For instance, match metals or gemstones so that all her rings are part of a bridal set to be cherished forever. Everyone has certain special places that remind them of stages in their relationship, such as where they shared a first kiss, said ‘I love you’ for the first time, or even where something humorous happened. 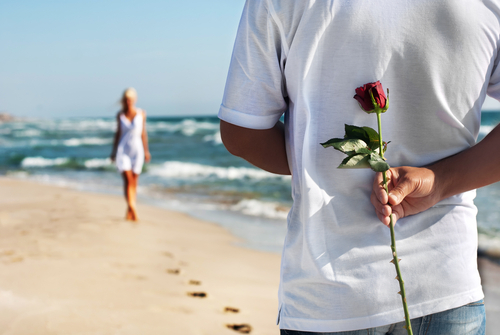 Think of a special moment you shared with your partner and then take a trip back to that place. This makes a very romantic getaway and is so much more meaningful than a regular holiday. An anniversary is all about remembering your wedding and celebrating your marriage, but you can also make it about starting something new with your partner. This could be working towards a mutual goal, such as climbing Everest or starting a family business. This keeps you focused on your love story, allowing new exciting chapters to be opened. Start a Pinterest board, make a collage or scrapbook, or put together a slideshow of all the special moments you’ve shared and recorded. This can be a great way to see how far you’ve come! It’s also special because you can look back on special memories that you might have forgotten, so pour yourselves some wine and enjoy time-traveling through your years together. Forget the chocolates and flowers and really think about what you can give your partner for your anniversary. It doesn’t have to be expensive, but it does have to be something that they will really enjoy – it’s time to replace those store vouchers for something more creative! Research has found that doing things that make us happy creates more satisfaction and pleasure than having material gifts. 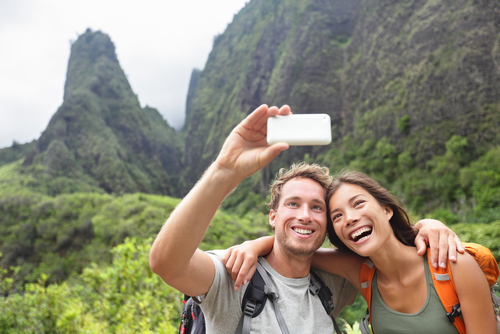 Your anniversary’s the perfect time to plan that hiking or camping trip your partner will love. 6. Go on a Treasure Hunt! If you want to have an adventure on your anniversary but you don’t know how to make it happen, let the geocaching app do it for you. This app puts you on a treasure hunt where you must find hidden boxes, or caches, containing treasures previous travellers have left. There are many caches that are hidden all over, with some probably being close to where you are! This is lots of fun to do with your partner and can be a bonding experience. If you have kids or can’t get away from work to take a holiday, you can bring the holiday to your home. Set up a spa date in your bathroom for a bit of pampering – light candles, play soft music, fill a luxurious tub with bath oils. Another idea is to cook a delicious meal that you can enjoy but feast on it out on the balcony or in the garden by starlight – remember to dress up as if you’re really out on the town. If you want the focus to be on romance, set up a bed canopy in the bedroom and pretend you’re hiding out in a romantic cottage somewhere far away. When planning a romantic home holiday, remember to unplug all devices so you don’t kill the mood. You know how there are traditional gifts for every year of marriage, right? For instance, paper is the gift for the first year and gold is for your fiftieth. You can use this information as a starting point to do something special yet creative on your anniversary. If flowers are the traditional gift, instead of buying your spouse flowers, have a champagne breakfast picnic in a gorgeous botanical garden; likewise, instead of buying pearls as a traditional gift, book a mini break at the beach or go to the Pearl hotel in New York. Think out of the box and have fun. Although you can’t recreate your wedding day, there are probably so many beautiful elements about it that you can relive. One idea is to book (or bake!) the same wedding cake you had. Other ideas include watching your wedding video or dancing to your wedding song. Instead of doing one of your favorite hobbies on your anniversary, try something completely different together that neither of you has done before. You could try snails for the first time when eating out at a restaurant for dinner, go surfing, or try a fun dance class, for example. It’s all about sharing completely new experiences together to make the anniversary special. Your anniversary is a time to remember your special wedding day while also focusing on your relationship, but don’t forget to make it unique and have as much fun as possible! April 24, 2015 in Anniversary Rings.